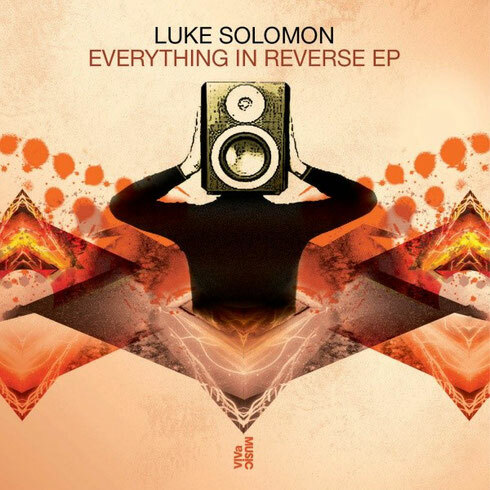 Classic Records frontman Luke Solomon makes his debut EP for VIVa MUSIC with ‘Everything In Reverse’ featuring Sam Lynham on vocals, two more original tracks and a remix from Adam Shelton. Title track ‘Everything In Reverse’ has the hedonistic vocals of Sam Lynham lending a retro feel. ‘Rhythm Control’ takes things darker, deep to the subconscious through baritone echoes and static loops, while Adam Shelton’s remix puts emphasis on the groove and the shakes. The final original cut, ‘That New Thing’ offers another bridge to the dancefloor and another cryptic key into Luke’s mischievous nature. Luke Solomon is possibly one of British house music’s forefathers, from setting up the label Classic Recordings with Derrick Carter to taking quirky house to the UK Top 10 and international charts, with his band Freaks, to DJing around the globe and performing live. Luke has been there for many of the more interesting 4/4 moments of the last decade. Sam Lynham has appeared with Luke on his own Classic imprint for ‘Stop The Riot’, as well as on labels Wall Of Sound and DJ Hell’s International Deejay Gigolo. Birmingham born Adam Shelton is known on the underground scene as a DJ for his passion, technique and track selection. Frontman of One Records together with Subb-an, Adam's originals and remixes have appeared on labels like Visionquest, Illusion Recordings, 2020 Vision and many more.